Today's announcement from Citroen makes no sense for me. They will quit the WRC for 1 year, and then they will enter it in 2017 again...Why the heck they can't participate in 2016, just like collecting the kms and experience for the future? Yeah, the current car has been in development since 2010/1 - no more major gains to be made with it and might as well focus on the new car rather than chase second in a championship (against a new Hyundai) again. 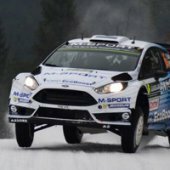 They can also take stock of the driver market in case Neuville, Ogier or Latvala become available for 2017. Makes perfect sense; great news for rallying IMO. Your face is 7 characters too short. It makes sense, because the 2017 cars will be all new and they need someone to test and develop them. Drivers with a full season in the "old" car wouldn't be available often enough. Keeping Meeke and Lefebvre makes sense, too - if that is confirmed. They need at least one driver with some experience. Apparently Kris is willing to sacrifice one year and Lefebvre still needs some time to develop anyway. Let's just hope they do a few rallies to make things more interesting in 2016. Also with Citroen not competing in 2016 they're not tied by any of the FIA regulations so they can do as many testing days and kilometres as the want. Couldn't they do that anyway? Doesn't seem like VW have been holding back on testing their 2017 mule. Back in 2006 Citroen did exactly the same thing, pulling out of the WRC for 1 year to further develop the C4 WRC for 2007. Loeb & Sordo ran in privateer Xsara WRC's prepared by Kronos Racing. EDIT: Didn't realise Citroen were taking part still, just not in a competitive programme. My first thought was that they were going to miss the season altogether. They will, as a team, but I suspect they'll pay for PH Sport to run Meeke and Lefebvre in a few European events, both to keep their hand in and to incentive development of the new car, in Meeke's case. It won't be like Kronos running full season in 2006. I personally don't think the current-spec DS3 is on par with the Polo. Why pour money and development trying to sort that car when it will be redundant at the end of the year anyway? I think their plan makes perfect sense: and it's good news for the WRC in the long term as Citroen seem to have a renewed interest in it again. Secondary bonus is that WTCC might be worth watching again, with private Citroens and (semi-)works Ladas, Hondas, Volvos and private Citroens and Chevys. I can see the reasoning behind Citroen's decision to miss out on 2016 and come back strong in 2017 when the beasty new cars will come in. The sad state of WRC is that even for privateers it's challenging to attract sponsors willing to fork out for a full campaign, as they just don't see the return in terms of promotion. Are VW going about WRC in a good way? Absolutely yes - they've created an unbeatable combo of team + car + driver and it seems no other manufacturer wants to go that HARD at WRC. It's quite interesting that VW still want to do it, with the emissions scandal going on. I hoped there would be some movement in the factory teams for next year, but there just won't be any. 2016 will be a bit of gap, slow year after which we'll hopefully see a good revolution. Pretty sure petter is doing rallycross next year, but there were hints he might be looking at doing something else. RX for next year, but possibly not with Citroen. He said he was trying to get funding for an entry to Rally Sweden for 2016 and I think he's looking at the Dakar for 2017. If that is, as rumoured, with Toyota, it could mean he's doing some WRC testing for them too. I would prefer to see Tidemand or Lappi instead of Ketomaa! It's not been confirmed at all. Just speculation at the minute.